Video – Shoreline Adventure With The Traxxas TRX-4 Chevrolet K5 Blazer « Big Squid RC – RC Car and Truck News, Reviews, Videos, and More! The busy crew over at Traxxas have just uploaded a new TRX-4 Chevrolet K5 Blazer video for your viewing enjoyment. 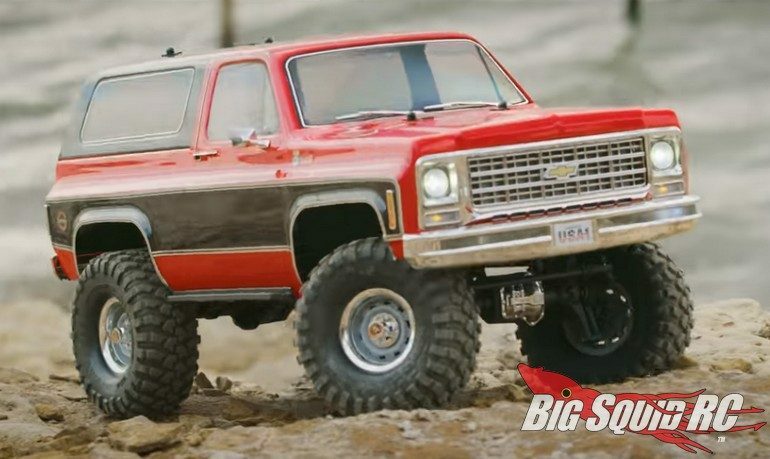 The legendary K5 Chevy Blazer is well known for its prowess out on the trails, watch the video below to see how incredibly scale the Traxxas rc version looks while getting in some off-road action. After watching the video, feel free to hit up this link for full Traxxas TRX-4 Chevrolet K5 Blazer details. Also, you can click right here for more Traxxas news on BigSquidRC.